RMKC was founded in 1976 as a non-profit organization that serves Rochester, Minnesota and the surrounding Southeastern Minnesota communities. We are licensed to hold American Kennel Club (AKC) all-breed events. •further the advancement of all purebred dogs. •do all in its power to protect and advance the interest of all breeds of purebred dogs. •encourage sportsmanship at dog shows, obedience trials and other sanctioned AKC events. •conduct sanctioned matches, dog shows, obedience trials and other events under the rules of the AKC. Educational programs are held throughout the year. The public is welcome to join us at our meetings to learn more about the club and area dog related topics. In January of 1976, an informational meeting was held at Lance Ketchum’s flooring business on 3rd Avenue SE in Rochester. The intent was to see if there was enough interest in the area to form a club that would eventually host an AKC licensed dog show in Rochester. Approximately 30 people attended this meeting. 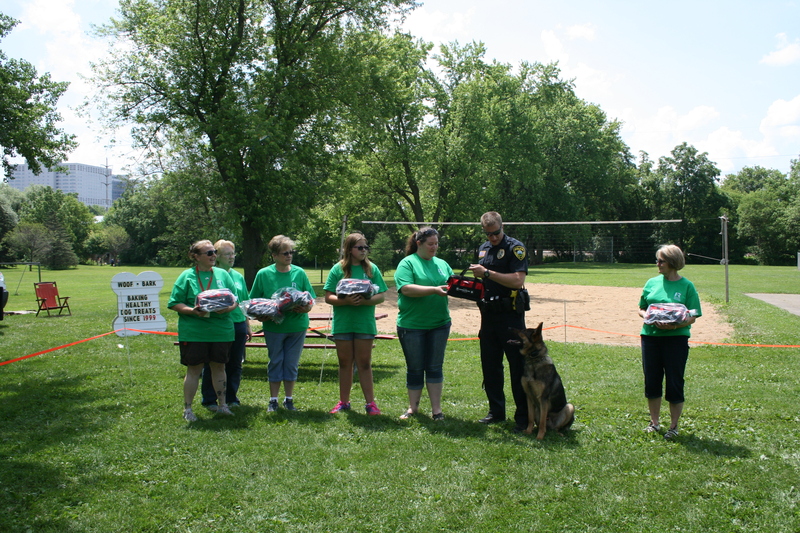 Of this group, some were already involved in showing dogs in both obedience and conformation, others were new to the sport and still others were interested dog owners. The group decided that they should pursue the steps necessary in forming a dog club. The American Kennel Club was contacted for guidance and the paperwork that would be needed to become recognized by the AKC. At the next meeting, with papers in hand, a membership roster was established, a name for the club was chosen, the area the club would serve was defined, ideas for a club logo were discussed, the purpose for organizing the club was determined and the Constitution and By-Laws were drafted following AKC guidelines. All of this information was entered on the AKC application and mailed to the AKC. Club officers and board members were appointed to temporary positions. It was decided that the annual meeting would be held in May of each year. The original club logo was described as follows: An outline of the state of Minnesota with a star placed in the area where the city of Rochester is located. Surrounding the star would be a breed representative from each of the six groups of dogs recognized by the American Kennel Club. This corporation is organized to protect and advance the interests of all breeds of purebred dogs, encourage sportsmanlike competition at all dog events, conduct matches and licensed shows under the rules of the AKC, and promote better dog citizenship in the community. So now the Rochester MN Kennel Club was organized. Club members wanted to introduce the young club to people who might want to learn how to show their purebred dogs and to socialize with people of like interests. Conformation classes were set up at Lance Ketchum’s flooring business. 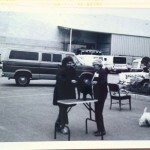 We used the parking lot in front of the building and roped off an area for “the ring”. Club members with prior conformation show experience conducted the classes, offering tips on the proper show leads for your breed, how to stack your dog, how to hold the leash, different ring patterns and so on. 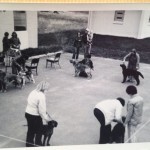 A variety of breeds attended these classes- from Pekingese to Great Dane. When fall arrived and the weather got cooler outdoor classes were suspended. In January 1977 we arranged with the Rochester Community Education Program to offer conformation classes indoors at the Hawthorne School building on Thursday evenings. The first couple of years were busy times for Rochester MN Kennel Club. Plans were made for the first Fun Match, which was held May 2, 1976. After a successful match, records were sent to AKC. Two more required fun matches followed on September 12, 1976 and May 1, 1977. At that point the American Kennel Club determined that we were eligible to take the next step toward hosting an AKC licensed show- “The B-OB Match”. The first annual meeting was held in May 1977. 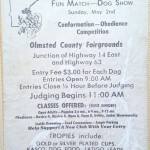 At this time it was decided that the Rochester MN Kennel Club should incorporate. After filing the appropriate papers with the State of Minnesota, on June 10, 1977 we became an incorporated non-profit organization. 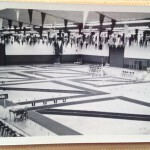 RMKC hosted its’ first “B-OB” Match October 30,1977 at the National Guard Armory in Rochester. With this successful match and successive “B-OB” Matches held May 7, 1978, March 18, 1979 and October 29,1979, the club was approved by AKC to host “A-OA” Matches. “A-OA” Matches are the final step a club follows on the path to licensed show giving club status. The match is run like a licensed show with Premium Lists sent out to potential competitors, ring times assigned for breeds, entry deadlines and many other details. After the Match is complete a show catalog with marked results had to be submitted to AKC. After our second “A-OA” Match, held October 26, 1980, the American Kennel Club reviewed our records and informed the Rochester MN Kennel Club that we were now eligible to host AKC Licensed Dog Shows! ‘In the beginning’ or ‘back in the olden days’ or any such subtitle might be appropriate for this installment. 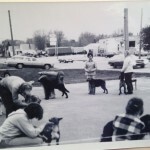 While the present Rochester Minnesota Kennel Club has been in existence for about forty years, the interest in the sport of dog shows and a formal organization in our area goes back much further than 1976. Every so often, the state of Minnesota reviews the monies that remain in inactive accounts that may belong to someone or an organization and publishes a list of these people and groups for the present day persons to claim the funds. 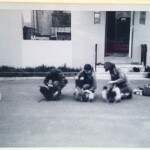 When Andre Lapeyre was Treasurer for RMKC, he brought to the club’s attention that there was a small amount of money in an account for the “Rochester Kennel Club”. This prompted us to check with the state as to how to possibly claim this money for the club and started a search into the history of the Rochester Kennel Club of yesteryear. 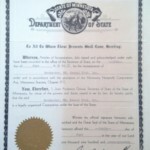 First, we researched state records for a copy of the Articles of Incorporation for the original Rochester Kennel Club. While we waited for that to arrive from the State, I made a trip to the Rochester Public Library to look for articles in the old news publications that could have had pictures and write-ups about the club’s activities. When I didn’t find much there, I decided to go to the Olmsted County History Center to see what they might have in their records. I did find some articles about shows that were held in Rochester and those competing. When the Articles of Incorporation arrived from the State, it was interesting to “relive” Rochester’s history in some of the names of the group that formed the first dog club. Board members were- C. O. Brown, Mrs. Joseph G. Mayo, George Barbes, Mrs. H. W. Phiel, A. E. Gates and Allen E. Farnham.